You’d think with a name like Titan, the new Nissan Titan lineup would be one of the most powerful, most capable and most sought-after pickup truck lineups around. But even a Titan can’t stand up to the god-like status of the new Ford F-150 lineup. 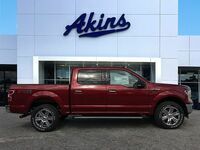 That’s because the 2019 Ford F-150 lineup continues to do what the new F-150 lineups that have come before it have always done – and that’s being, simply put, best-in-class. 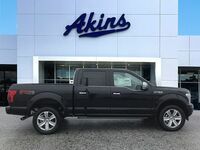 From its unbeatable power ratings to its unmatchable capability ratings, the 2019 F-150 is once again the cream of the crop. 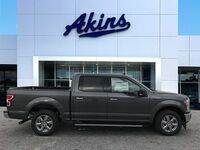 But let’s not get to ahead of ourselves here, and instead simply sit back and enjoy the head-to-head battle between the 2019 Ford F-150 lineup and the 2019 Nissan Titan lineup. 450 HP & 510 lb-ft. Maximum Power Ratings 390 HP & 394 lb-ft.
3270 lbs. Maximum Payload Rating 1930 lbs. 13200 lbs. Maximum Towing Rating 9660 lbs. The first two rows of our 2019 Ford F-150 versus 2019 Nissan Titan head-to-head model comparison should tell you all you need to know about how this battle is going to go, as it sets an ominous tone for the 2019 Titan going forward. 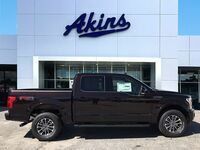 With only one engine option to speak of, the horsepower and torque offerings of the 2019 Nissan Titan absolutely pale in comparison to the horsepower and torque offerings of the 2019 Ford F-150 lineup and its suite of six engines to choose from. Then we get to the last two rows of our comparison table and what has to be considered the death knell for the 2019 Titan lineup. 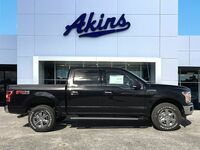 The maximum towing rating for the 2019 Titan lineup doesn’t even crack 10,000 pounds, while the maximum towing rating for the 2019 F-150 lineup is sitting pretty at 13,200 pounds. 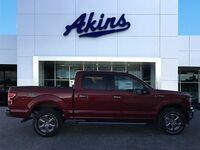 And that’s to say nothing about the 1,340-pound payload advantage of the 2019 F-150 lineup. 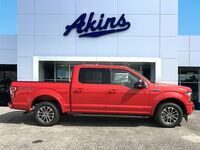 For more on the 2019 Ford F-150 lineup, please contact our staff here at Akins Ford near Atlanta, GA.